Vintage 40s organza wedding dress!!! Beautiful XS wedding dress from 40's! 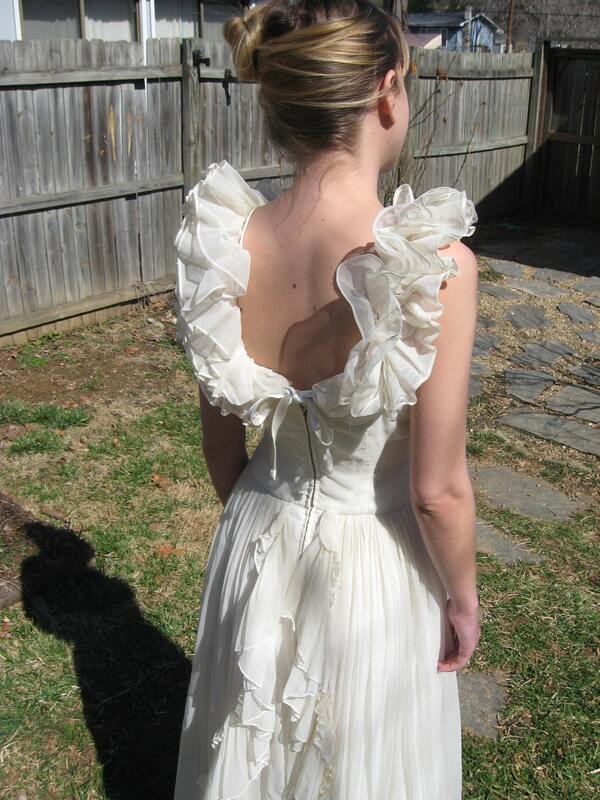 Look perfect on your special day in this vintage ruffly wedding gown. Made from a white-ish/off white/not exactly cream, Organza fabric. Woven silk lining. Satin spaghetti straps sit nicely on the shoulders, you can wear the ruffles up or down for different effects. Ruffles go down back of the skirt. Satin tie above zipper. Excellent vintage condition!! Only worn once! ** Let me know if you need any help!! Check out this beautiful treasury by lunahoo!